It’s not personal…though it should be. As a child, I was very sensitive, always picking up on other’s emotions. If someone was upset, I felt it deeply, and if they were someone close to me, I would often wonder if there was something I had done wrong (and what I could do to make things better). I took things personally. As I grew up, I grew wiser. Upon realizing that other’s emotions or actions were often a reflection of what they were feeling or dealing with (and not anything I had said or done), I was able to forge ahead with a more pragmatic and less sensitive way of doing interacting. After all, that is what life at the heart of the financial sector demanded of me as I began my career as an Equity Specialist, training hundreds of financial advisors in a very tough business. It was 2001 and the tech bubble had burst. Emotions ran high in the form of angst and anger…though any emotional sensitivity or concern from a deeply human perspective was quickly snuffed out. In the industry that I called home, there was very little room for true empathy or compassion for what our customers were dealing with. The global objective was to quiet customer fears and keep them investing. As providers of financial guidance, we lived and breathed by the hours of the stock exchange and the rapid fluctuations in equity values (which were, ironically, very emotionally-driven). The writing I did for national newsletters and broadcasts was restricted to a predetermined set of words and left little room for an added personal touch. The stories that were shared were limited and distant feeling – far from allowing the communication to touch on a deeply emotional level. My heart and soul began to ache. Within the role that launched my career, there was minimal freedom for creativity or self-expression, and no opportunity to make business truly personal. It was all about business on a big scale. Internationally-renown leadership teacher Robin Sharma has a wonderful quote that says, “The business of business is relationships; the business of life is human connection.” Sitting amidst the never-ending, money-driven push of the financial sector, I concluded that elements of sensitivity, empathy, vulnerability, compassion and connection were all but missing in much of business. I wanted to parallel business and life, so that they be equally personal. Metrics, algorithms and titles continue to rule…some 16 years after I first experienced the very same heart-sinking truths in the financial sector. Credibility and rapport sought out through less-than-organic and far-removed-from-personal means tarnishes the reputation of any such systems, numbers or titles. Credibility and rapport sought out through less-than-organic and far-removed-from-personal means tarnishes the reputation of any such systems, numbers or titles. The irony is that when everyone has poured their effort into creating titles such as “award-winning” or a “best-selling author,” the titles lose their worth – they become diluted, unoriginal and less meaning-full. As we continued to exaggerate and overuse these attempts at credibility or “success” on a mass scale, we inadvertently diminish our individual value. There becomes no point of distinction between everyone’s credibility. What is the real measure of our value to our clients? Does this news come at any surprised in our less-than-personal, automation-driven, monetary-success-focused business world? At large, we, as business owners and entrepreneurs, are disconnected from our customers. If we had the rapport, trust and relationships that are forged with a more personal approach to business, 71% of B2B customers would not be thinking of changing sellers. It’s time to step back from the technical, the numbers, the bottom line, or whatever is driving us at the current moment, and refocus our attention to the people who enable us to worry about technical numbers or a bottom line in the first place: our customers. When life-threatening illness not-so-gently plucked me from my place in the financial world and landed me abruptly into a clean slate from which to build my life at the tender age of 26, I found my way back to a world that was more personal, where I could connect with people on a deeper level. As a ghostwriter and copywriter, I was (and am) gifted the incredible opportunity to be a collaborator and confidant who gets to step into the physical, mental, emotional and spiritual depths of people’s lives. I get to be sensitive and use that to build something incredible for my clients. They let me see the entirety of their story (so I can write it), and I let them see mine. The impact is a far cry from the cold, square paragraphs I once detailed in the punchy sales lines and purely technical writing. This new work fearlessly touches upon and addresses our emotional depth as human beings. As the writer, I feel the impact when transcribing the emotion-filled words of others; and as a witness, I see the effect on those who read or hear the words. On more than one occasion, I’ve been known to “make clients cry,” though they are always grateful for it. The work is cathartic and compassion-filled. There is a great dance, an intertwining, that can occur between the pragmatic and the personal, rending us with communication that resonates on that human level and inspires progressive action to reach further into our potential. Show your audience that you are like them – that you have been where they are, felt the pain, and discovered a valuable pathway to growth. How do you show your audience that you are deeply human? You show them that you are like them – that you have been where they are, felt the pain and discovered a valuable pathway to growth (which you now have to share). 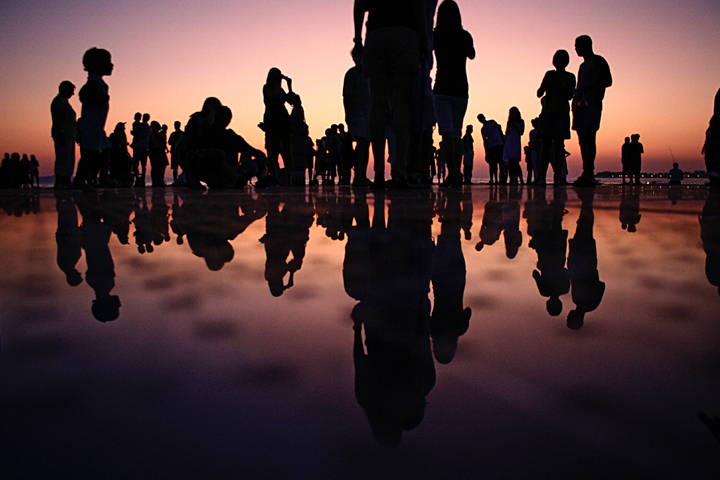 Sharing all of ourselves takes courage, empathy and careful consideration of what we share. It’s what I like to call “turning up your AV”! Audio in the form of authenticity and visual in the form of vulnerability: Authenticity & Vulnerability (AV). Two of the most powerful words of the English language are “I understand.” Your audience wants to know that you can empathize with who they are and where they are. Let those you serve see the totality of your human experience – from moments of vulnerability to peaks of strength. Do the same when you share the stories of others. Our customers are not asking that we gain an increasing number of credentials to build credibility and rapport – they are asking that we become more human and join in a journey with them. Who they want is a unique and relatable contributor to their needs. They want to see that we have character, that we care deeply about them on a personal level, and want to create connection. In the long term, leadership, sustainability and goodwill depend far more on who we truly are (identity & integrity), rather than who we show ourselves to be (identification & titles). If we identify ourselves through titles, and those titles lose their luster (e.g. when everyone else is a “best-selling author” too), then we may lose our sparkle…or worse, we lose our sense of self (and the unique value we provide our clients). Don’t seek to manufacture credibility, earn it. Let it be original and come organically from those you serve – those who are drawn to be a part of what you offer, because of who you are when you give the best of yourself. When we allow others to identify with us because of who we authentically are (our “AV”), our value and credibility will endure. Lead with connection and understanding, authenticity and vulnerability – all things that make us deeply human. 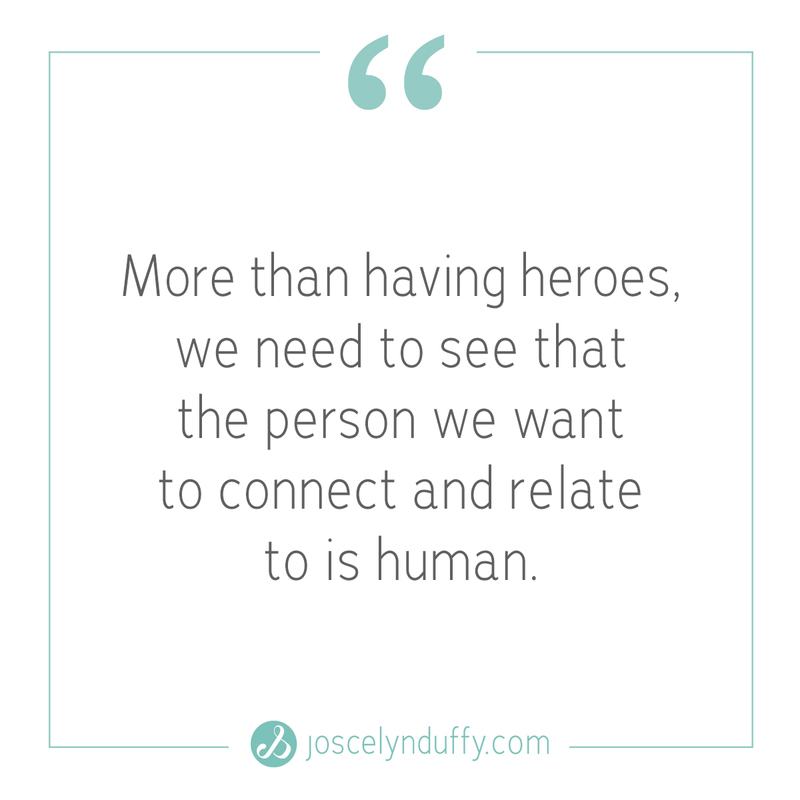 Because more than having heroes, we need to see that the person we want to connect and relate to is human. Only by showing up in the entirety of who we are that we deepen our connections to those we serve. After all, what matters in the end is that we contributed something of value – of unique value, true to ourselves – that changed lives for the better…and not any sought-out robotic systems, automated delivery or super-human titles. 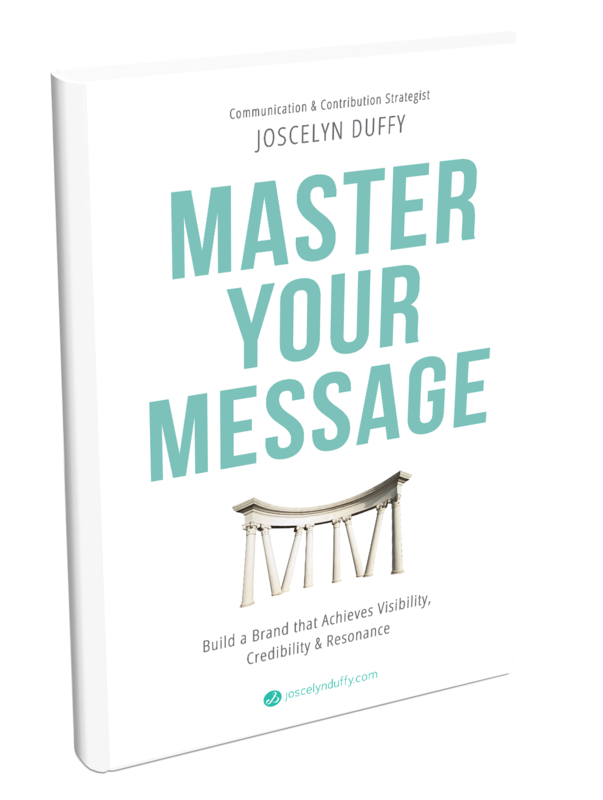 For 5 simple tips on communicating your unique value proposition and making business deeply human, click HERE to get your FREE copy of Communicating Value: 5 Steps to Increasing Long-term Visibility and Viability in Business.